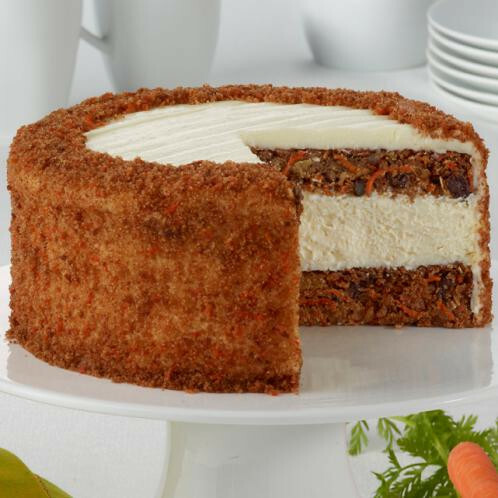 Our Original New York cheesecake is layered with a traditional carrot cake, made with fresh carrots and cinammon. Frosted with Juniors own cream cheese frosting. Approx. Net wt. 3 lbs.